The first time I heard the most sacred three words I’ve ever heard in the history of brunch, my life changed forever. Are you officially freaking out right now? And the best part about this revolutionary deliciousness is that it’ll be ready in minutes! To make the cream cheese glaze, combine cream cheese, powdered sugar, milk and vanilla in a small bowl until smooth; set aside. To make the cinnamon sugar, combine sugar, brown sugar and cinnamon; set aside. Whisk together eggs, milk, vanilla and nutmeg. Working one at a time, dip bread slices into the egg mixture. Melt butter in a large skillet over medium high heat. Add bread slices to the skillet,cook until evenly golden brown. Working quickly, coat each bread slice with cinnamon sugar. 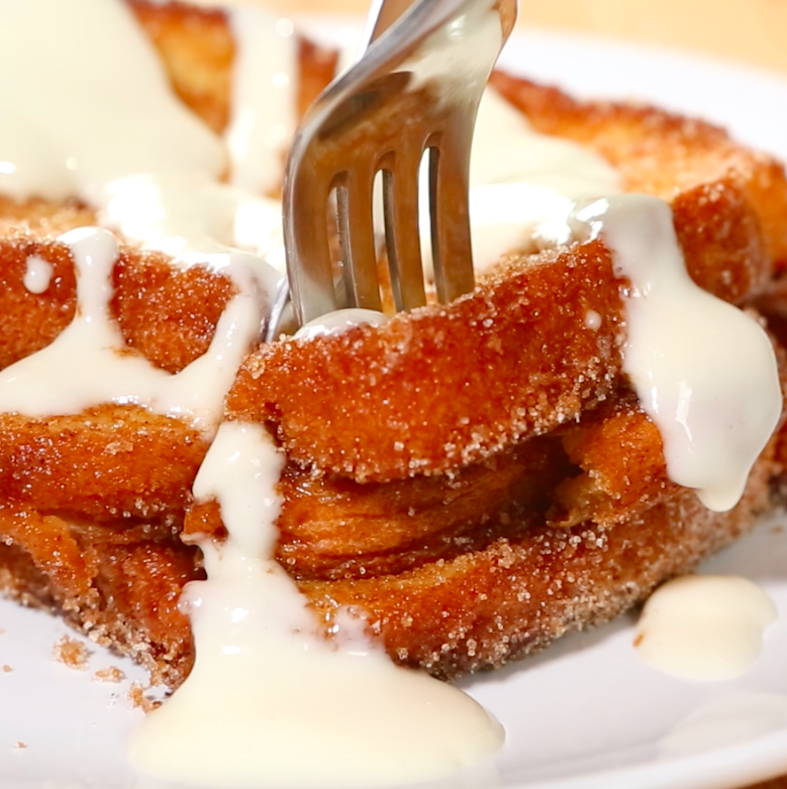 Serve immediately, drizzled with cream cheese glaze.